Good news everyone! 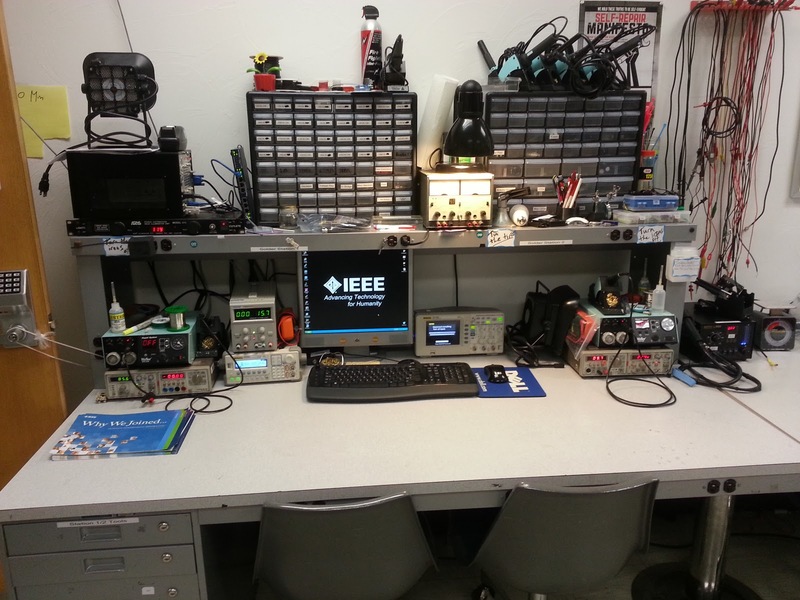 The equipment from our ASUA funding request came in on Monday (2/11) and is now setup at the main lab bench. We now have 3 new toys to play with, the Rigol DS1102E 100 Mhz dual channel digital scope, the Rigol DG1022A dual output function generator, and a new 0-60V; 0-3A benchtop power supply. Both the function generator and scope are hooked in to the bench computer and can be controlled using the software found on the desktop. Additionally, the probes that came with the oscilloscope are being kept in a bag to the right of the scope. Please keep these probes in the bag and stored to the right scope of the scope when not in use and do not mix them up with the rest of the test leads on the rack. If anyone wants to use the new equipment, feel free to stop by and test out the equipment any time. Nice, clean lab bench with the new equipment set up. I hope the bench stays this clean for at least a few days. 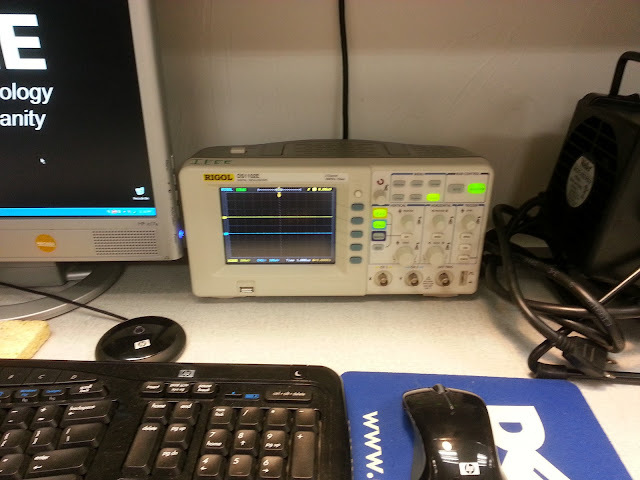 The new oscilloscope to the right of the bench computer screen. 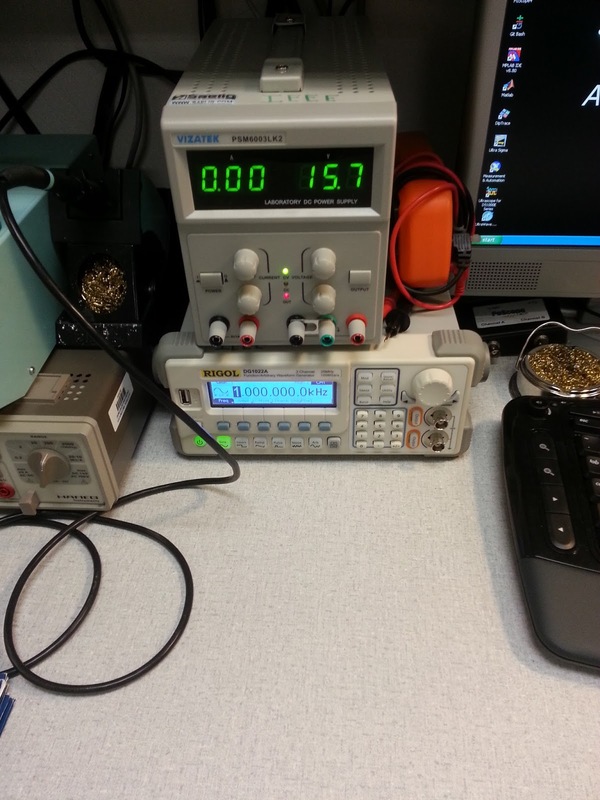 The new dual channel function generator and power supply on the left side of the bench.